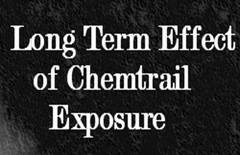 Chemtrails and Black Chemtrails - Chemtrails Spraying and Black Chemtrails - BLACK CHEMTRAILS Chemtrail Information - Stop Chemtrail Spraying in California! 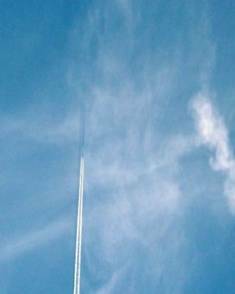 Plane following very faint black Chemtrail? has anyone seen these before, we all thought it was our eyes but it was actually there ! The 'Fog' of War: We have been seeing an increasing amount of these monolithic black poisonous aerosol 'fog'/chemtrails here in Victoria, BC. The black poison is sprayed/comes out of white chemtrails and can be seen settling shortly or immediately after being released, but is usually sprayed/made at night when they are harder to distinguish/detect unless you are looking (hence this "Black 'Fog'/Chemtrails: What They Spray On Us While We're Sleeping" series). 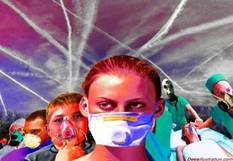 A quick YouTube or internet search reveals the scope and scale of this deadly aerosol attack on the public worldwide. At the end of the clip you will notice the addition of a photo taken Sept 9th, 2010 that shows five 'fog'trails in the ocean just off of Trial Island - the event that preceded the massive black aerosol 'fog'bank on our Sept 9th video. The 'fog' that originated just off the Southernmost tip of Vancouver Island, ended up being blended (HAARP) with the black chemtrails in the sky above and floating across the city after nightfall. Another good example of these black aerosol banks is the footage I took of black 'fog'trails floating across the harbor toward downtown at 9 am Thursday August 26th, 2010. The footage in this video series leaves little doubt we are under attack. There is a growing amount of metal in the sky at all times which, when blended with the synthetic 'clouds', turns the sky into a massive radio frequency delivery system. The fact they can stop an rfid chipped bull from charging should lend some insight to the HAARP program's application to social control and theater warfare. 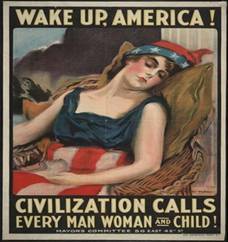 Few people even realise we are under attack, but the more they do this the greater the percentage of people who wake up each day. I saw a black chemtrail flying from a black stealth on my way to Arizona from California. I think it was by area 51 because there were long roads and in the middle was two compounds. 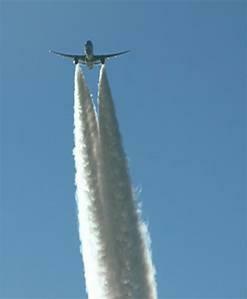 It was really slow and low flying and the chemtrail was almost as thick as the wing span. This was on May 8th when I saw this. Very scary. People with power, please don’t kill us. There is enough earth to go around. Saw one of these on 9/11 of this year, during the We Are Change protest in front of the EU parliament in Brussel, it was right above us. Coincidental, but on which level ? Glad you found pictures nagual, did you took them ? When I saw it, something was even weirder. The blue sky was full of chemtrails and we could see the planes making them. the plane above us was making its usual chemtrail but the black one was right next to it, so we look further in the sky and we see that the black chemtrail actually continues IN FRONT of the plane, and the plane exactly follows it. 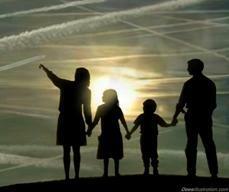 It was long as the sky, we couldn't see the plane doing the black chemtrail. Did you see one ? 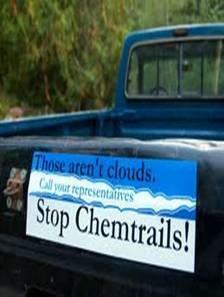 A guest of the VERITAS show was whistlblowing the chemtrails a few weeks ago, very interesting show. 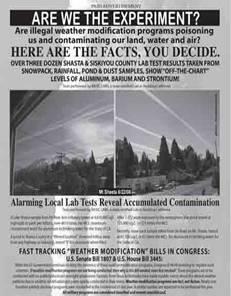 Said he worked on the debut project in the 70's and it was spreading light metals like barium and aluminum to be able to create a 3D image of the battleground being spread, then others programs were added that he didn't dare to say about. for what I saw, the black chemtrail was vibrating like there was something electromagnetic about it. Maybe the white on was there to hide it or to mix it with something else. a few weeks ago I noticed a very unusual chemtrail. Previously I have witnessed transparent black lines that stretch out at least 100 metres infront of the planes themself that dissipate rapidly, but this one was different. 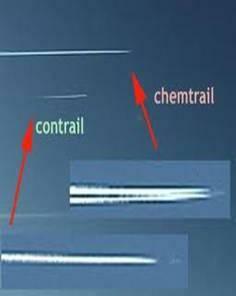 Alongside the entire chemtrail was an enormous black line, exactly the same as the ones I just mentioned. It hung around for about 2 minutes then slowly dissipated. In my mind, these black shadows are obviously the natural energy lines that the planes follow, I just think it's really interesting that you can actually see them now. 1. It is an unknown technology to the public (no doubt been utilized for decades already) which they have only just started using out in the open. 2. It is part of this whole awakening where we are starting to see what has been hidden right infront of our faces for years. I am sending a photo taken in the countryside of Sweden about a week ago. 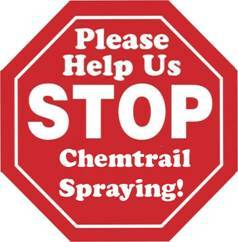 For about two years , we have had heavy spraying almost every clear day. Usually, you find the same pattern that has been described from all over the world. On the day that this picture was taken, I found a strange dark shadow in front of the plane. First, I thought that this was some kind of optical illusion. The aircraft followed the dark "shadow- line" in a perfect way, when it all of a sudden made a turn and moved away from it. I realized that this was some kind of line that the plane followed and not at all an illusion created by the plane. This is exactly what a person on your website wrote about, and it would be interesting to find out if this has been seen elsewhere. I have been watching these chem-trails for a long time, but this was something new. When I first saw this I thought it was probably just a shadow being cast by the chemtrail. But I've seen the phenomenon several times when the position of the sun was such that it was obvious that the line could not be a shadow. Some investigators think these dark lines are strongly indicative of particle-beams which would be greatly enhanced by the addition of aerosol metallic elements. So far, it appears to be a mystery and we can only speculate on the reasons and causes. My 3rd video of CHEMTRAILS and 3 photos of the highly elusive "Invisible Black" chemtrails, look carefully they are there! photographed April 14th 2010. 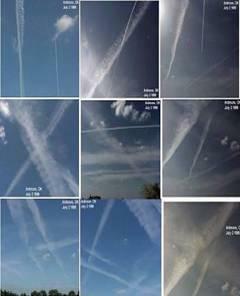 What They Spray On Us While We Are Sleeping In Victoria, Beautiful British Columbia, Canada. They're using HAARP, its windy so at times the audio. Chemtrail spraying across a shadowy black line. 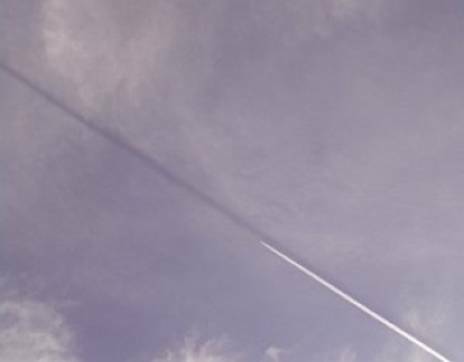 Watch where the plane takes a turn, and the black "shadow" of the chemtrail touches ground, that ground belongs to Nellis Air Force Base in Las Vegas. 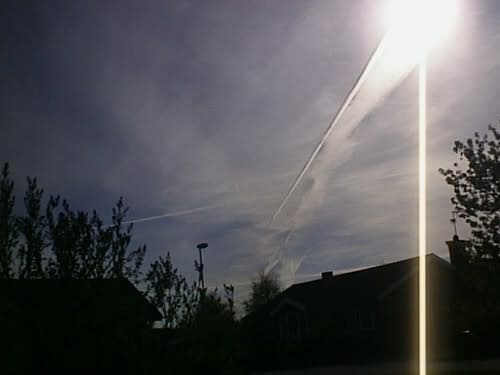 Video of Black Chem Trails recorded by Ron Baggerman March 12-2007 in Gouda (the Netherlands). Black Chem Trails. Massive black chemtrail emission in the skies above Düsseldorf Germany. Here in Beautiful British Columbia, Canada there have been increasingly large amounts of black and grey 'clouds'. 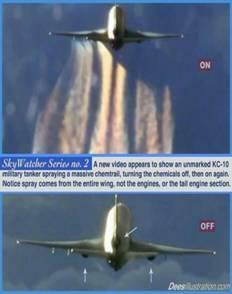 This footage was taken in the evening of Sept 2nd after we witnessed at least 200 US KC 135 and KC 10's spraying us with the black chemtrails. Secret New Black chemtrail with white too. Secret under ground tunnel also !!! 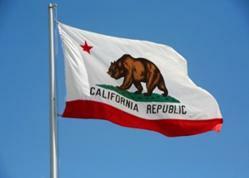 man what the hell is it going to wake up The Lion of Judah! Old footage but i wanted to repost it, Hopefully better video. 2:28 Black Chem Trails March 12-2007 Holland Ron Baggerman Stick Video of Black Chem Trails recorded by Ron Baggerman March 12-2007 in Gouda (the Netherlands) at 18h45. Black Chem Trails.